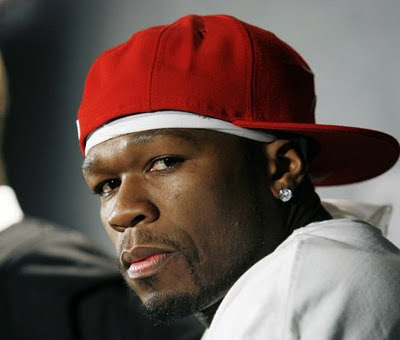 Curtis James Jackson III (born July 6, 1975), better known by his stage name 50 Cent, is an American rapper and actor. He rose to fame with the release of his albums Get Rich or Die Tryin' (2003) and The Massacre (2005). Get Rich or Die Tryin' has been certified eight times platinum by the RIAA and has sold over 15 million copies worldwide. His album The Massacre has been certified five times platinum by the RIAA and has sold 11 million copies worldwide. Born in South Jamaica, Queens, Jackson began drug dealing at the age of twelve during the 1980s crack epidemic. After leaving drug dealing to pursue a rap career, he was shot at and struck by nine bullets during an incident in 2000. After releasing his album Guess Who's Back? in 2002, Jackson was discovered by rapper Eminem and signed to Interscope Records. With the help of Eminem and Dr. Dre, who produced his first major commercial successes, Jackson became one of the world's highest selling rappers. In 2003, he founded the record label G-Unit Records, which signed several successful rappers such as Young Buck, Lloyd Banks, and Tony Yayo. Jackson has engaged in feuds with other rappers including Ja Rule, Fat Joe, Jadakiss, Cam'ron, Rick Ross, and former G-Unit members The Game and Young Buck. He has also pursued an acting career, appearing in the semi-autobiographical film Get Rich or Die Tryin' in 2005, the Iraq War film Home of the Brave in 2006, and Righteous Kill in 2008. 50 Cent was ranked as the sixth best artist of the 2000–2009 decade by Billboard magazine. The magazine also ranked him as the fourth top male artist and as the third top rapper behind Eminem and Nelly. Billboard magazine also ranked him as the sixth best and most successful Hot 100 Artist of the 2000–2009 decade and as the number one rap artist of the 2000–2009 decade. Billboard ranked his album Get Rich or Die Tryin' as the twelfth best album of the 2000–2009 decade and his album The Massacre as the 37th best album of the 2000–2009 decade. He is currently working on his yet-to-be-titled fifth studio album, which is allegedly set to be released in November 2011 (Wikipedia).